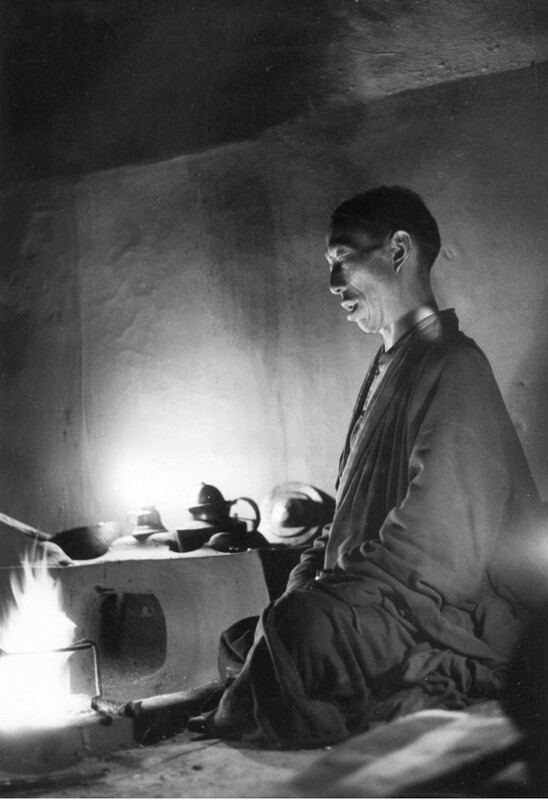 Lama Shashi Dhoj Tulachan (lama name Nawang Chhogyall Tenzin) is the spiritual leader of Chhairo Gompa having been given responsibility for Chhairo Gompa by the current incarnation who is not a practicing lama. 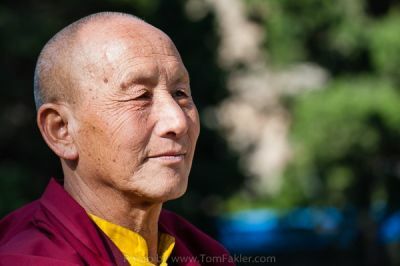 He is responsible for the physical reconstruction of the gompa as well as the teaching of the young monks from Mid West Region who have been brought to re-establish the gompa’s monastic purpose. Lama Shashi is a master in Buddhist thangka painting and is committed to re-establishing the lost teaching tradition of Chhairo gompa. The Tulachan family is from the neighbouring village of Tukuche, to the south and comes from a long line of Buddhist artists. His father, Kamal Dhoj Tulachan, and grandfather are responsible for many wall paintings and statues to be found in gompas, chortens and private household shrines in villages of the Thak Kola (upper Kali Gandaki) are extensively in RK Rai’s 1994 inventory of monasteries in Mustang. Shashi began by assisting his father and elder brother, Krsna Dhoj Tulachan, aged 9, accompanying them to villages around Mustang. 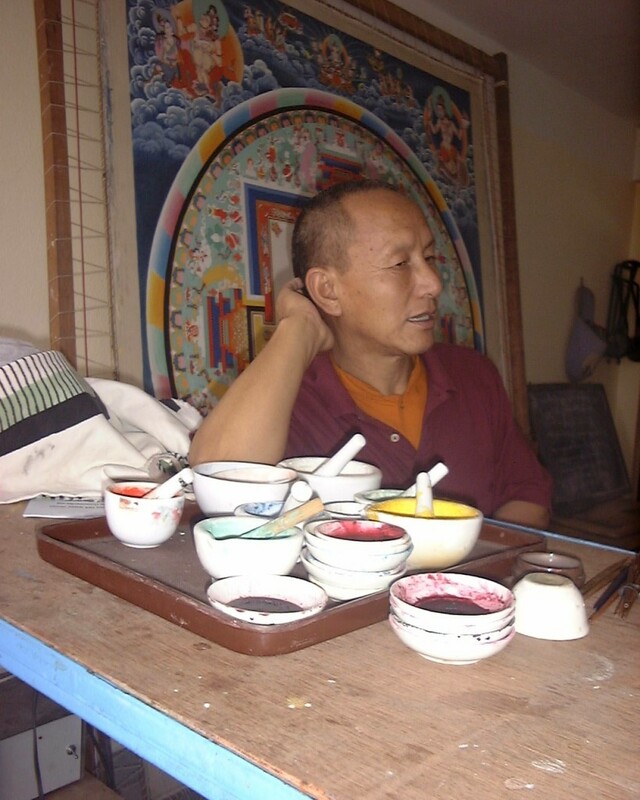 By the age of 18 he had received his first solo assignment to paint the Mani Lha K’an of Gemi village, Mustang. Shashi Dhoj returned to Toga mura, a sister village of Tukuche his home village in April 1991 for the opening of the meditation centre. He returned again in 1994 to paint a Mandala of the Two Realms, combining Japanese and Tibetan styles. 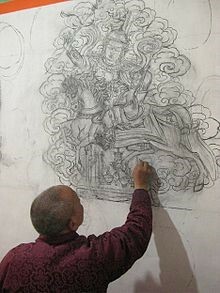 The central buddha statue in the Karma Samten Ling monastery in Lumbini was designed and its production was overseen by Shashi Dhoj Tulachan. Shashi Dhoj also designed the monastery complex which is located in the Western Monastic Zone of the Lumbini site.